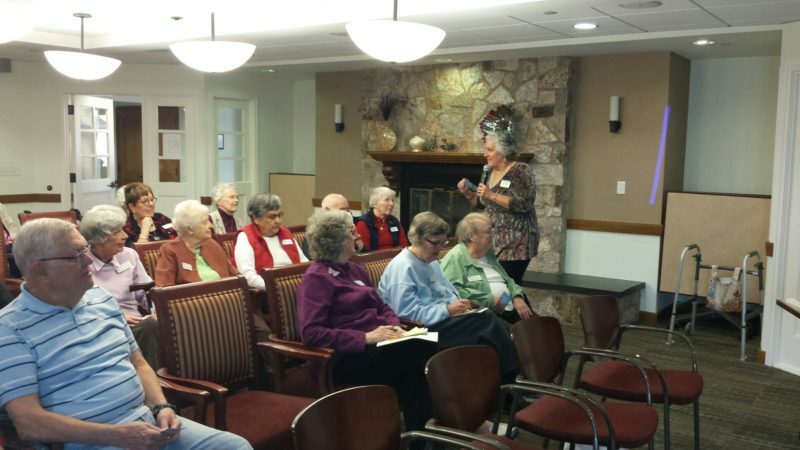 Laura Borrelli, RN, Hospice Director, Franciscan Home Care and Hospice Care, presents Conversations with Laura to the residents of Covenant Village, Cromwell. Conversations with Laura is an informal approach to discussing end-of-life issues with individuals and families. Over 20 residents were present. For more information about hospice care please contact Franciscan Home Care and Hospice Care at 203-238-1441.